Q3 developed an ERP product for a leading construction software ISV in the USA. The product’s core platform functionality includes managing contacts and tracking opportunities from leads to closure, project management and scheduling, estimation and job costing. The client is a leading software developer for the AEC (Architecture, Engineering and Construction) industry. They develop cost effective and user-friendly software for mid to large size AEC firms to ensure successful project delivery and provide estimation and project management software solutions for general contractors, subcontractors, homebuilders, developers, and engineering firms. 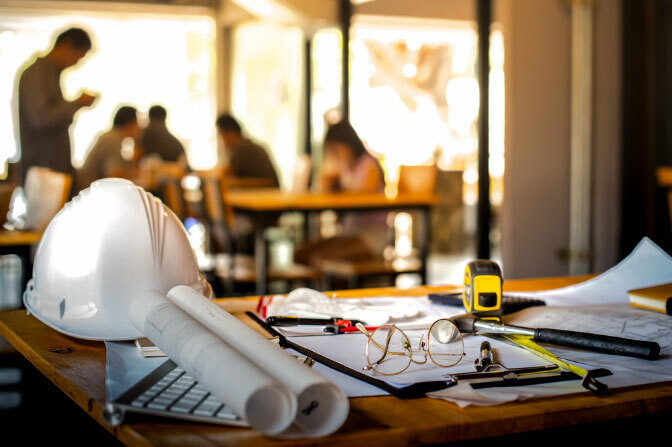 The client’s construction software suite has received numerous industry awards and utilizes the latest cloud technologies to provide constant connectivity anywhere and anytime so that firms can make quick and informed decisions. The AEC (Architecture, Engineering and Construction) industry has complex work processes. Solutions needed to govern the different aspects of the business need to be streamlined and systematic. Companies around the world are suffering hugely in maintaining and updating their legacy ERP software. They make huge investments in buying a software and then training their employees. The decision to switch to the latest technologies requires significant time for integration and subsequent employee re-training. The client had a basic ERP system, which had performance issues and had no scope for additional enhancements and integrations with new age technologies. Thus, the client wanted to build a cloud based ERP system with an updated dashboard for analyzing construction budgets, augmenting the profitability, and streamlining the costing and scheduling. In order to improve work efficiency, the client sought to build an ERP application that could automate complex tasks or create comprehensive dashboards to analyze project budgets, maximize project profitability, and make all the departments collaborate better to work more efficiently. 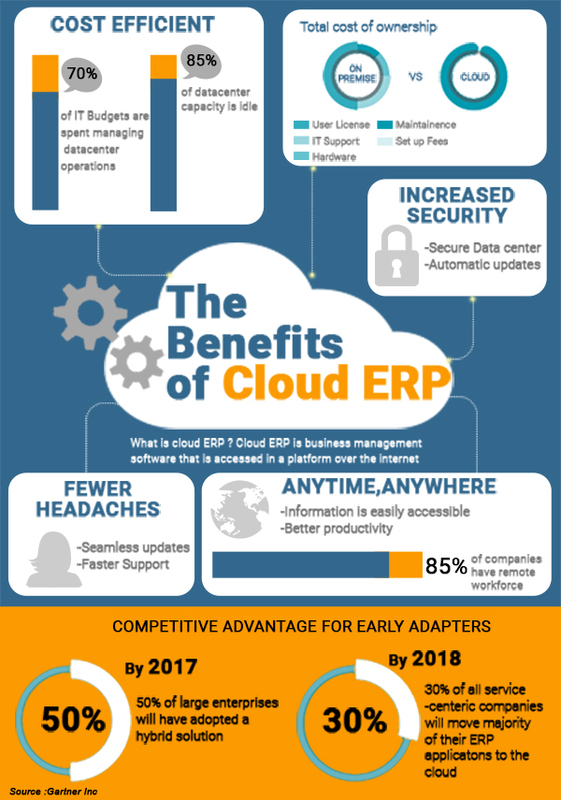 The ERP product needed to be architected on the Cloud and also needed to be compatible with all the available web browsers and mobile devices along with a capability to integrate new features, such as Global Currency, Estimation, Time Entry, File Management, Workflow Rule Engine, Custom Reporting, SSRS Reporting, and Word Reporting. A middle tier application was needed to establish the communication between the client and its vendors. The application runs on the cloud and thus, provides the ability to access any construction related information anytime and from anywhere, which helps in making quick decisions. The product supports desktops laptops and tablets. Large Scale Re-designing of the ERP system: For flawless working of the application, our experts reorganized and redesigned the ERP system to meet the specific requirements of the Client. New features, such as Global Currency, Estimation and Workflow Rule Engine were implemented in the ERP. Our experts adopted new technologies to restructure the dashboard and tools, and enhance the performance of the application. 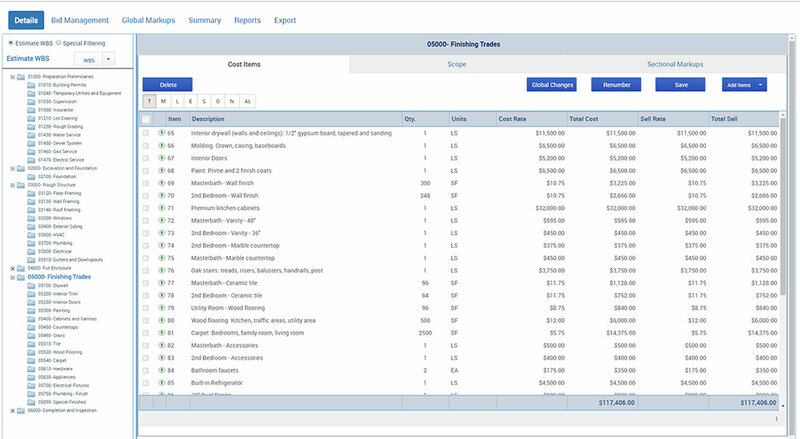 Bid Management, Procurement and Project Estimation: The system developed for the client provides for easy estimation of budgets for all building and construction projects and also enables efficient bid management. A procurement module for streamlining and optimizing the purchases of raw materials was also implemented. Scheduling and Work Flows: Efficient Project management can be done with the system and work flows can be maintained with ease. Tasks for the workforce and staff can be scheduled, assigned and tracked. The logging of work hours also can be done using the new system. HR module and File Management: A complete HR module was developed for the client and a document/file management system was implemented for effective collaboration. Responsive Design: Our experts architected the ERP system for cloud native architecture and responsive design to provide compatibility with all web browsers and used Phone gap technology to migrate the web ERP system on the iPhone and Android based mobile devices. In addition, MVC and jQuery technologies were used, which made the response time less than 1 second and also improved the compatibility of ERP with other devices. Customized Dashboard: Our experts also decided to redesign the Dashboard of the ERP system by using third party controls, which helped in reorganizing the existing features and rearranging the newly implemented features, tools, and various management systems, such as Project Management, Offline File Management, Scheduling, and Reporting. Multiple Integrations: In addition to the above, the system was integrated with the accounting packages, such as SAP, Sage CRM, Quick Book, and MYOB EK. The complete reorganization and automation of the system helped the client in developing a reliable and improved solution to manage the construction business and enhance the business process efficiency. Redesigning of dashboard and tools minimized the application’s load time and easy-to-handle user interface helped the client to manage the business with less maintenance cost. All features in a single ERP system provided a highly secure and robust mode of operation.